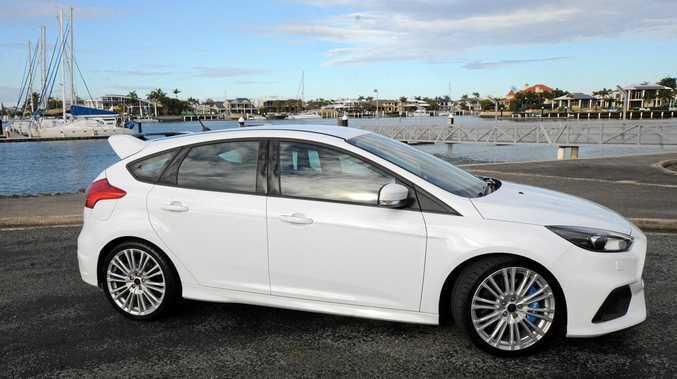 The 2018 model Ford Focus RS. SUBDUED from the start, it takes little encouragement to wake the sleeping giant. Sliding into Recaro racing seats and wielding the manual shifter, a quick prod of the accelerator shows a glimmer of the Ford Focus RS's ability. From the outside it looks sporty yet restrained with large rear spoiler, body kit and 19-inch alloys, but explore its potential and that's where it excels. This is among the best of hot hatches. Sitting in prestigious company, alongside the VW Golf R, Subaru WRX STI, Honda Civic Type R and Renault Megane RS, the blue oval beast delivers fun in spades. That excitement comes from a special dash button which flexes the muscle of a 2.3-litre turbocharged four-cylinder engine. Press the button and you get my "drift”. It's the mode which had conservatives spinning more than tyres after the Ford Focus RS was launched last year. Designed to enable four-wheel slides, 'Drift' is one of two ballistic moods designed specifically for the track. Sport mode is best suited for daily driving, enabling the driver to explore the rev range accompanied by a wonderful racy exhaust soundtrack of bangs and crackles. It's the closest thing you'll get to a race car on the road without the need to after-market intervention. 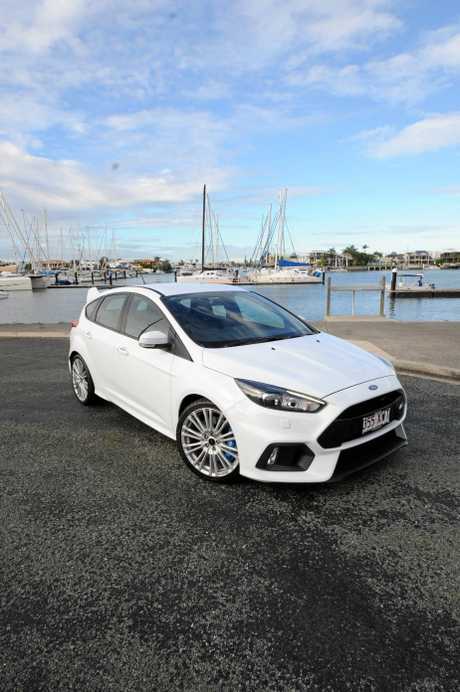 You know its a driver's car - available only with a six-speed manual - so those wanting a cushy ride and sedate acceleration would be better suited to the ST derivative. 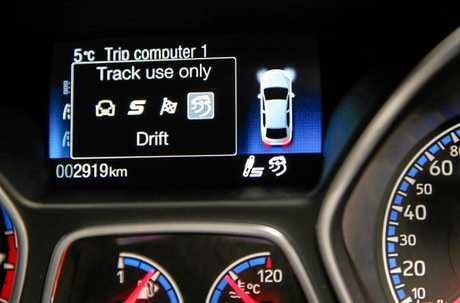 Jump on the right pedal and the Focus RS will reach 100km/h in less than five seconds and in second gear. The punch available in second and third has knockout potential. Yet the prowess isn't limited to straight lines. 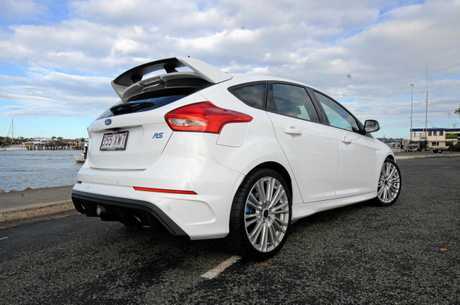 Ford possesses some of the greatest nous in the business when it comes to steering feel, and this hatch offers brilliance in the bends. All-wheel drive offers outstanding grip for an offering which balances poise and power. The ride is firm, it's a high-end sporting derivative after-all. The current Focus RS and Limited Edition variants (the latter is $6000 more and gain additional gear like a limited-slip front differential, lighter alloys, exclusive Recaro seats and a contrasting black roof) will be the last for some time. A new Focus is due next year, so we'll have to wait some time before getting the next hard-edged derivative.